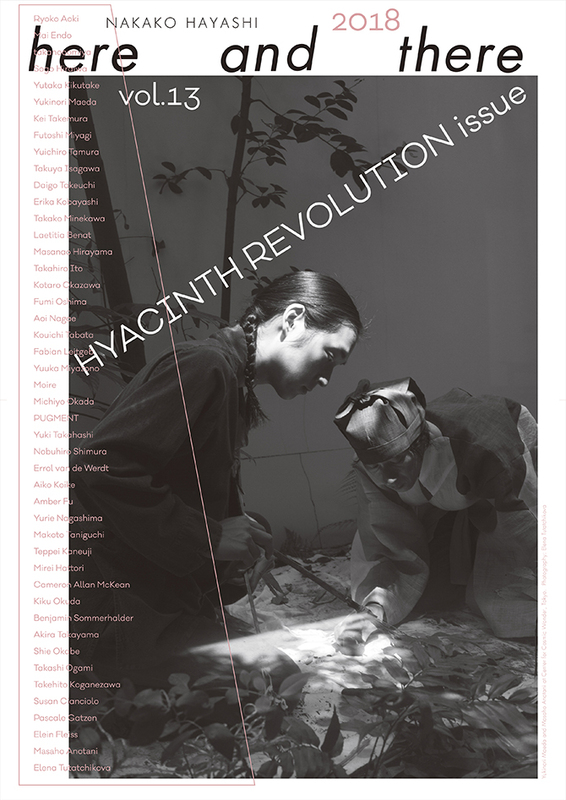 The new issue “here and there”of personal journal will be announced “here and there vol.13 HYACINTH REVOLUTION” by editor Nakako Hayashi. The cover of new issue is photographed by artist Elena Tutatchikova. A installation for cover from artist Masaho Anotani and Contemporary artist・Founder of Cosmic Wonder Yukinori Maeda. In commemoration of the release, we will present poster installation by Kazunari Hattori, who is an art direction from the first issue. We will hand a special poster towards the purchase with the new issue. The poster installation until Sunday, July 29.